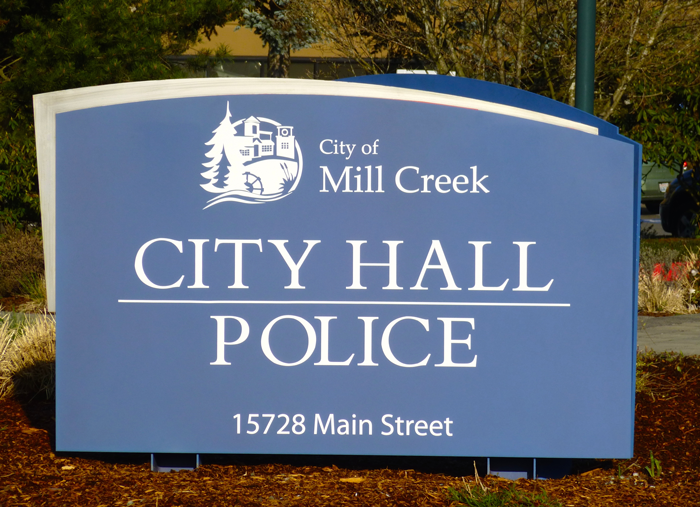 The Mill Creek Police Department was contacted on Tuesday, August 14, 2018, by a male who found a human skull in a wooded area near North Creek just north of Mill Creek Town Center. According to Police Chief Greg Elwin, the male appeared to be under the influence of a controlled substance, but cooperated with police. Subsequently, Mill Creek Police officers and a K9 unit conducted a thorough search of the area where the skull was found in an attempt to find any other human remains. No other remains were found in an extensive search of the area. The skull was turned over to the Snohomish County Medical Examiner’s office in hopes of identifying the deceased. On Wednesday, August 15th, Mill Creek Police and Snohomish County Search and Rescue volunteers and their trained dogs searched the area again. The investigation is ongoing. Additional information will be released as it develops.